In this Mommy & Me class the toddler and parent learn delightful songs, dances and musical activities that focus on singing and keeping a beat to enhance timing, coordination, listening and language skills. 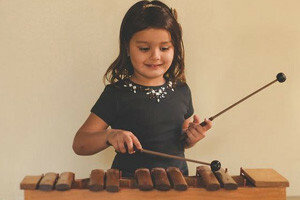 High-quality percussion instruments are used as well as puppets, stories and colorful props to make this a very special music time. 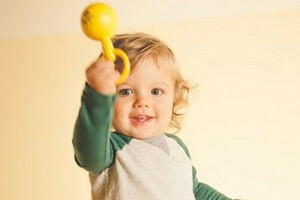 More benefits: Repetition assists language development and memory, and improves coordination and timing. Helps toddlers express their feelings productively, and develops their imagination and ability to focus. These classes will lead into the extremely successful, non-traditional Simply Music Piano Program! Please bring the Red Kit with Rhythm Sticks to each class. At-home participation with your kit is the key to the full benefits of the program. Ages 4, 5 & 6 without parent. This class gets the child started with the fun and high quality Orff instruments and features exciting musical games, rhymes, and stories. More benefits: Develops a sense of timing and coordination as the child experiences solo and group playing on the Orff instruments. Solo singing games improve listening, pitch matching, and tone quality. Builds on the child’s musical literacy foundation and continues to improve physical and literacy skills. These classes will lead into the extremely successful, non-traditional Simply Music Piano Program! Continues teaching the elements of music while children sing, play, create, explore, and move. 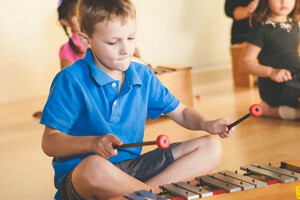 Group playing using Orff instruments introduces numerous parts for students to play in ensemble, bringing a more developed sense of timing, listening skills, and concentration. 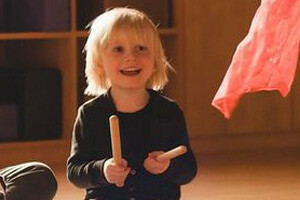 More benefits: Builds on the child’s musical literacy foundation and continues to improve physical and literacy skills. These classes will lead into the extremely successful, non-traditional Simply Music Piano Program! Simply amazing! How does it work? Think of it as the Rosetta Stone of piano lessons. Just as you don’t teach children to read and write before they learn to speak, we feel you don’t have to know to read music in order to make it. Simply Music Piano is a new-age approach to learning piano that has you playing real recognizable songs from the very first lessons. How did you hear about Intrinsic Melodies?